Another shop in Banbury was ram-raided in the early hours of this morning (Tuesday, June 5). A group of offenders used a 4x4 vehicle to damage the shutters of the Co-operative store in Ferriston at around 3am. Several of the group exited the vehicle and gained entry to attempt to steal an ATM. The offenders used the vehicle to drag part of an ATM from the store and then placed it inside their vehicle. The store and the equipment were damaged however no money was stolen from the ATM. The offenders were a group of three to four people who were wearing boiler suits. No further descriptions are available at this stage. Detective Sergeant Tim Hawley, from Banbury Investigation Hub, said: “We are investigating the circumstances of this burglary which is not believed to be linked to other recent similar incidents in Oxfordshire. “I would like to speak to anyone who witnessed the burglary or who saw any suspicious activity in the area between midnight and 3.15am on Tuesday. A makeshift door had been built so customers could still use the shop which remains open. A spokesman for The Midcounties Co-operative said: “An incident took place at the Hardwick store in Banbury in the early hours of Tuesday June 5, when the store was closed and no colleagues were present. 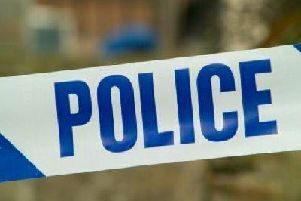 Co-op stores in Chatsworth Drive and Woodford Halse have been targeted by thieves recently, along with the McColl’s on Orchard Way, the Post Office in Bodicote and Aldi in Chipping Norton. Anyone with information relating to the Ferriston case is asked to call 101 quoting reference ‘43180169182’ or contact Crimestoppers anonymously.